Nicholas Wells Reynolds was born July 27, 1933, in San Diego, and grew up in the affluent suburb of Coronado, a peninsula separated from the mainland by a ten-mile wide strip of land called The Silver Strand. Stewart Reynolds, Nick’s father, was a captain in the United States Navy, which maintained a large base at Coronado, including the training center for Navy SEALS. Stewart played guitar and would gather Nick and his two sisters, Barbara and Jane, and sing old folk tunes and native songs he learned from his world travels. Nick played the bongos and some guitar. After graduating from Coronado High School, Reynolds attended the University of Arizona, San Diego State University, and then Menlo College where he met Bob Shane in that dull accounting class and soon discovered their common interest in music. They formed a duet, with Shane on guitar and Reynolds on bongos, and entertained at school functions, frat parties, and beer gardens. Within a few weeks, Shane introduced Reynolds to Dave Guard who was still at Stanford. Shane and Guard taught Reynolds how to play some genuine Hawaiian songs on guitar and they began playing two nights a week at a local tavern and as many frat luaus they could squeeze in. After graduation, Shane returned to Honolulu and began putting his business degree to work for his dad’s company. He also wanted to pursue a solo singing career as ‘Hawaii’s Elvis Presley.’ Guard and Reynolds added Joe Gannon on bass and singer Barbara Bogue, and called themselves Dave Guard and the Calypsonians. They auditioned at the Italian Village, a popular San Francisco nightclub, where Frank Werber spotted them. Werber suggested Guard and Reynolds drop Gannon as he was not skilled musician and they’d get more bookings as a trio. But Reynolds left after his graduation and was replaced by Don McArthur. The group was now called The Kingston Quartet. Around this time, Werber encouraged Reynolds to return and Gannon was dropped from the group. “Joe wasn’t really a bass player,” recalled Reynolds. “He was just standing there faking it like a gut bucket. So Barbara goes ‘Well, if Joe goes, I go.’ Well, I’d kept in touch with Bobby [Shane] and I told him there was a chance of getting a gig if we really worked at it. So he came back and the three of us got involved with Frank.” Bob Shane had tired of the wholesale toy and sporting good business. Furthermore, his career as ‘Hawaii’s Elvis Presley’ had not taken off so he welcomed the opportunity to return to California as part of the Kingston Trio in spring 1957. “It really started with the Weavers in the early 1950s,” recalled Reynolds. “Goodnight Irene,” “On Top of Old Smokey,” “Wimoweh.” We were big fans of theirs, but they got blacklisted in the McCarthy era. Their music was controversial. Suddenly, they couldn’t get any airplay, they couldn’t get booked into the big hotels, nothing. We played their kind of music when we were first performing in colleges. But when we formed the Trio, when we first got booked into San Francisco’s Purple Onion, we had to sit down and make a decision: Are we going to remain apolitical with our music? Or are we going to slit our throats and get blacklisted for doing protest music? We decided we’d like to stay in this business for a while. And we got criticized a lot for that.” Interestingly, Jerry Wexler resigned from Billboard magazine because he refused to write a dossier on the Weavers that would contribute to their being blacklisted. It was Wexler who coined the term Rhythm and Blues which the music weekly adopted June 25, 1949, for its black music chart which had been called Race Records. Wexler then worked briefly as promotions director at MGM studios. He declined Ahmet Ertegun’s offer to work for Atlantic Records, preferring instead full partnership. When Atlantic co-founder Herb Abramson was drafted into the Army, Ertegun relented and Wexler bought a thirteen-percent share of the company for $2,063.25. Werber hired San Francisco vocal coach Judy Davis and rehearsed the Trio in his office above the Purple Onion until they had near-perfect vocal harmony and a repertoire that consisted of three hours of songs. They readied a twenty-five minute set for a one week gig opening for comedienne Phyllis Diller on Memorial Day weekend 1957 at the Purple Onion. Mort Sahl, Shelly Berman, and Ronnie Schell had been discovered there. Dave Guard mailed 500 postcards to everyone they knew at Stanford University and Menlo College, inviting them to the Onion. Word of mouth spread and the initial week turned into two. That July 1 they began headlining at the Onion for seven months. During that run, they polished their stage act, interspersing their intricate harmonies with comic banter that always seemed spontaneous. Reynolds, whom the other two called budgie or runt of the litter, often provided the comic zingers. The Kingston Trio revitalized American popular music, paved the way for the folk music revival, and set the stage for the protest music era of the early sixties. And in the late 1950s, they represented a wholesome, clean-cut alternative to the sexualized rock and roll of Elvis, Chuck Berry, Jerry Lee Lewis, and Little Richard. 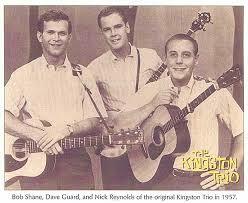 Parents approved of the Kingston Trio. It was safe for their children to listen to their music or attend one of their concerts. 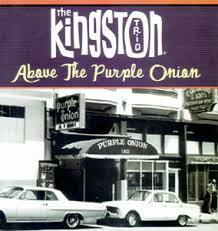 The Kingston Trio continued to wow audiences at the Purple Onion. Jimmy Saphier, Bob Hope’s agent, caught their show and brought their demo tapes to Dot Records and Capitol Records in Los Angeles. Randy Wood at Dot passed apparently, but Capitol was intrigued and sent Voyle Gilmore to see the Trio in person. Capitol, of course, had Frank Sinatra, the Four Freshmen, and the Four Preps on their roster and were always looking for new artists with youth market appeal. Gilmore liked what he heard and signed the Trio to a seven year recording contract. In February 1958, after their successful seven-month stint at The Purple Onion, Frank Werber decided the Kingston Trio needed to be performance-tested before different and tougher audiences. He booked them into the Holiday Hotel in Reno, Mr. Kelly’s in Chicago, and the Blue Angel and the Village Vanguard in New York. Between the Reno and Chicago dates, the group flew back to Los Angeles to record their first studio album for Capitol Records. On February 5 and 6, Voyle Gilmore produced eleven recordings by the Trio in Studio B at the Capitol Tower. 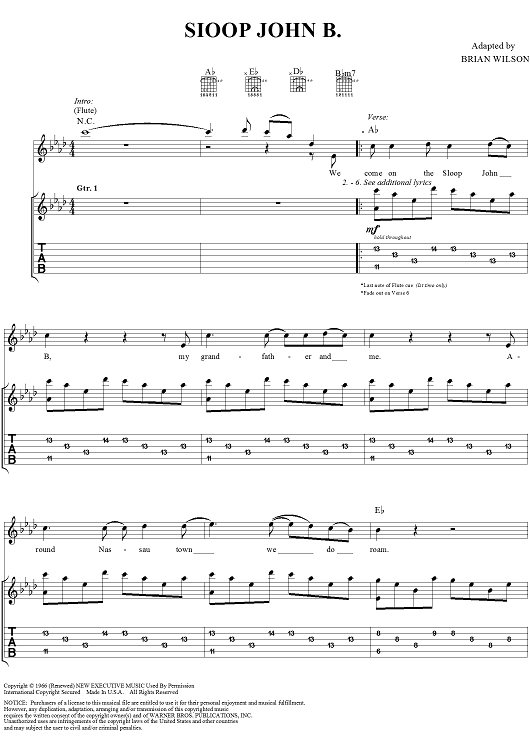 On February 7, the Trio recorded a twelfth song, “Little Maggie,” and a thirteenth number, “Dodi Lii,” which was left off the album, but appeared as simply “Dodie” on their second album From the Hungry I. With the Trio, Gilmore, who had produced many of Sinatra’s legendary sessions in the 1950s, made two key decisions that shaped their distinctive sound. He hired a bass player to anchor their recordings and he resisted adding orchestral instrumentation, a common production practice at the time. 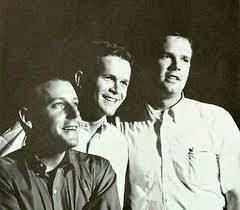 On May 1, 1958, the Kingston Trio made their national television debut on the CBS drama Playhouse 90 where they appeared in Rumors of Evening portraying World War II pilots. They also introduced and sang their soon-to-be-released debut single “Scarlet Ribbons.” On May 5, Capitol Records released “Scarlet Ribbons” (b/w “Three Jolly Coachmen,” Capitol 3970). The single, however, failed to chart. On June 1, 1958, Dave Guard’s wife, Gretchen, gave birth to their first child, a baby girl. The following day, Capitol released the Trio’s eponymous debut album The Kingston Trio (Capitol T/DT 996). The thirty-one minute album contained at least two songs that had a profound influence on fifteen-year old Al Jardine—“Tom Dooley” and “Sloop John B.” The album enjoyed one week at #1 and an astounding 196 weeks on the Billboard album chart. On June 19, 1958, disc jockeys Bill Terry and Paul Colburn at radio station KLUB in Salt Lake City, began playing “Tom Dooley” from their debut album. That July, they were still playing “Tom Dooley” and becoming increasingly frustrated Capitol had still not released it as a single. Listener requests poured in and other radio stations across the country began adding the song to their play lists. Although the song was readily available on the Trio’s debut album, this was the age of the 45 rpm single and the record-buying public wanted to know where and when they could buy it. On September 8, as Al and Brian began their junior year at Hawthorne High School, Capitol Records, in response to requests from radio stations across the country, released a second single from the Trio’s debut album, “Tom Dooley” (b/w “Ruby Red,” Capitol 4049). By October, record executives on both coasts were keeping an anxious eye on the rapid ascent of “Tom Dooley” up the charts. Anticipating a spike in popularity of folk music, record companies were checking their A&R rosters in the event folk music became the next hottest trend. But the character of Tom Dooley and the events in the song were based on a sordid murder trial in North Carolina after the Civil War. Thomas C. Dula was a handsome young banjo picker who had earned a reputation for bravery while fighting for the Confederacy. After the battle of Gettysburg, Dula returned home to Happy Valley in Wilkes County, North Carolina, where eighteen-year-old Laura Foster made her affection for him known. Although Tom had his eye on her cousin, Ann Melton, a wealthy, married socialite, he was not above seeing Laura on the side. When he contracted a venereal disease, he vowed publicly to get even with her. On May 25, 1866, Laura vanished. Her body was discovered three weeks later in a mountainous wooded area. She had been stabbed through the heart. In addition to Tom, there were two other prime suspects—Jack Keaton and school teacher Bob Cummings. Cummings is known as Mr. Grayson in the song. Both Keaton and Cummings were suitors and, along with several other suitors, had disappeared from Happy Valley the day after her body was discovered. By November, “Tom Dooley” was #1 on the Hot 100 and #9 on the R&B chart. It remained on the charts for five months and would be the Trio’s only gold single, selling more than six million copies world-wide. Meanwhile, the Trio had flown to Honolulu for a little rest and recreation, and to appear at the opening of the Surf Room at the Royal Hawaiian Hotel. Frank Werber received a frantic phone call from Capitol’s Voyle Gilmore. “Get those boys back here. Tom Dooley is going to hit number one. It looks like you’re going to have the record of the year.” The Trio also had a huge impact on the popularity and sales of Martin guitars. The company built a new factory in Nazareth, Pennsylvania, to keep up with demand. 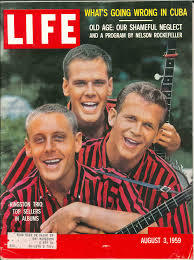 The December 15 issue of LIFE magazine featured an article on the Kingston Trio entitled “Hanged Man in Hit Tune.” On December 27, the Trio performed at the LA Palladium. Two days later, Capitol released their third single, “Raspberries, Strawberries” (b/w “Sally,” Capitol 4114) which reached #70 on the Hot 100. In the audience that night at the Cocoanut Grove was John Stewart, a singer-songwriter contracted to Arwin records and scheduled to soon make the switch from rock and roll to folk. Stewart managed to meet the Trio after the show and played them two songs he had written, both of which the Trio would later record—“Molly Dee” (June 2, 1959) and “Green Grasses” (September 28, 1959). On June 8, 1959, the Trio released their fifth single, “M.T.A.” (b/w “All My Sorrows,” Capitol 4221). M.T.A. stood for the Massachusetts Transit Authority and was written to protest a subway rate hike during a mayoral election in Boston. The novelty song, sung to the tune of “The Wreck of Old 97,” stayed on the charts for eleven weeks and peaked at #15 on the Hot 100. In July, Columbia Pictures released The Legend of Tom Dooley starring twenty-three-year-old Michael Landon as the ill-fated Dooley, although the plot bore no resemblance to the true story that inspired the song. The Trio’s “Tom Dooley” was featured in the film. On July 14, the Trio appeared on The Jimmie Rodgers Show and on August 3 they graced the cover of Life magazine. In December 1959, the Trio began work on Sold Out, their sixth Capitol album, which reached #1 for twelve weeks in spring 1960. On December 8, they recorded one of Al Jardine’s favorite Kingston Trio songs, “Raspberries, Strawberries.” The album version of the song featured a smoother arrangement with tighter vocals than the single that had been rush-released December 29, 1958, as the follow-up to “Tom Dooley.” In 1969, Al recorded a version of “Raspberries, Strawberries” the Beach Boys considered for their Sunflower album the following year. The song did not make the cut and remains unreleased.